HAVANA (Sputnik) — Despite the reduction in tensions, the United States continues to maintain a trade embargo on Cuba mandated by Congress, though Obama is trying to persuade both chambers of Congress to lift it. "Obama’s trip to Havana is critical for the success of the détente between the two countries, begun on December 17, 2014." Obama is set to travel to Cuba on Sunday in the wake of his US-Cuba normalization policy. His official two-day program will start on March 21. "Beyond the symbolic gestures of state protocols, the president will meet with representatives of the Catholic Church, independent small business owners, and civil society. His main speech, to be broadcast live on Cuban television, should make it clear that the United States is not an enemy of the Cuban people and that Cold War tensions with Cuba are over." 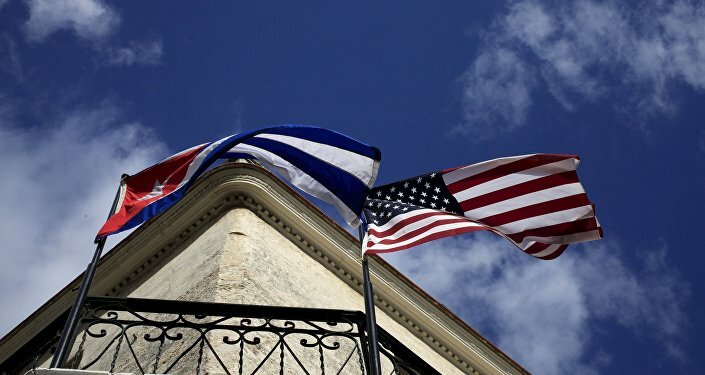 The Head of the Research Institute believes that Obama is doing his utmost to make the Cuban normalization process irreversible, including reaching out to various stakeholders, such as Democratic and Republican members of Congress, leaders of the Cuban-American community in Miami, and civil society representatives, as well as the dissident movement in Cuba. "In the end, the continuing 'normalization' of US-Cuba relations will depend largely on the results of the 2016 presidential and congressional elections, as well as on Raul Castro’s announced retirement from Cuba’s presidency in 2018." Duany claimed that the significant factor in the recent rapprochement between Cuba and the United States are the changing attitudes of the Cuban-American community. "Several polls (including those conducted by Florida International University since the 1990s) have found increasing support for a US policy of engagement with Cuba, including the restoration of diplomatic relations and to a lesser extent the end of the US embargo of the Island." Since the United States restored formal diplomatic ties with Cuba in July 2015, Obama has chipped away at the embargo with a series of executive orders that have opened the island nation to US tourists and some business ventures. The US restrictions on overall trade will remain in place until Congress changes or scraps a 1960 law that put the embargo in place. "The president can do very little else to encourage Congressional action on the issue of the embargo, other than continue to facilitate concrete agreements between US businesses and the Cuban government," Duany stated. "The president has called repeatedly for the lifting of the embargo, but until now his call has fallen on deaf ears in most of the Republican-controlled Congress." In January 2015, Cuban President Raul Castro called on the United States to return the Guantanamo Bay area to Cuba after the December 2014 announcement that the two countries would normalize the bilateral relations. "The Obama administration has reiterated that, at least for now, it will not negotiate the devolution of the Guantánamo Naval Base to Cuba," he said. "The next elected president may wish to pursue an agreement with the Cuban government, similar to the one that returned the Panama Canal to Panama in 1999." Washington has leased Guantanamo Bay, where a US naval base is located, since 1903. In 2002, the Guantanamo Bay detention facility was opened within the Guantanamo Naval Base in the wake of the 9/11 terrorist attacks on the United States. Despite the fact that US President Barack Obama has repeatedly promised to close the Guantanamo detention facility, known for its alleged use of torture, this has not happened to date. Obama will be the first sitting US president to visit Cuba since Calvin Coolidge in 1928. Obama is expected to meet on Monday with Cuban President Raul Castro to discuss a range of issues, including progress on restoring diplomatic ties and commercial opportunities between the United States and Cuba. 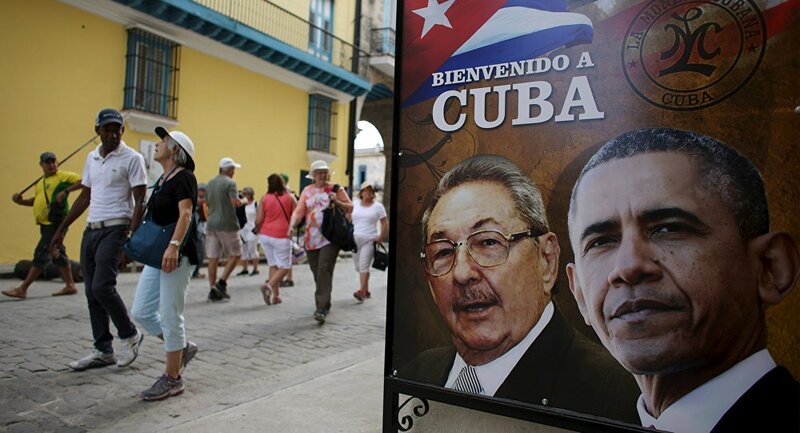 Obama is also scheduled to meet with Cuban Cardinal Jaime Ortega, dissidents and entrepreneurs.